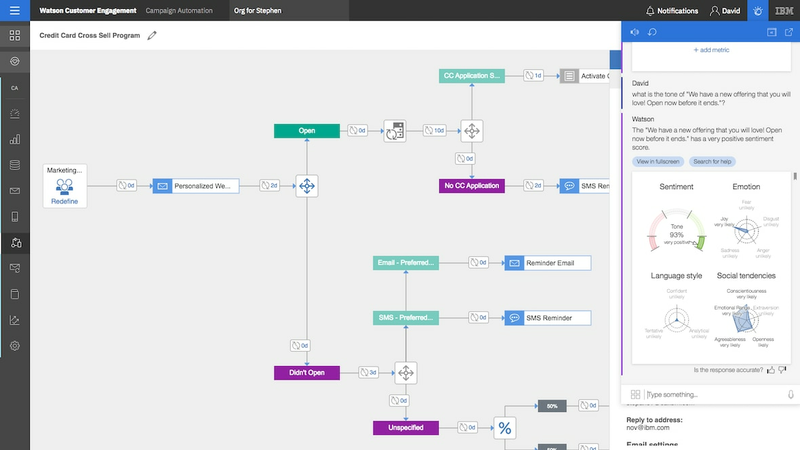 Deliver personalized customer journeys across email, mobile push, SMS and social with this AI-powered, SaaS marketing automation solution. Create and deliver engaging digital experiences with our cloud-based, cognitive-powered web content management service. Easily connect your marketing technology platforms, understand cross-channel behaviors and personalize engagement. IBM Watson Customer Experience Analytics uses AI to help you drive cross-channel customer experiences impactful enough to capture market share.